The Alberta Pedestal Table has a unique pedestal base that gives your dining space some pizazz. It isn’t your typical dining room table that you see in most households. Another unique feature is the 1 and 3/8 inch plank top with mission edge. So, not only is the base stylish but so is the table top. It comes standard with a round top. However, you can certainly opt for a square tabletop. There are geared slides, which makes opening and closing the tabletop a breeze. No need to worry about the table tipping over easily since we also add levelers in the base to prevent just that. 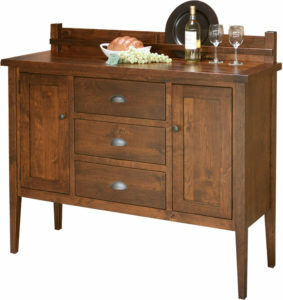 Consider pairing this table with the Jacoby Sideboard for a perfect match. For a quote, click on the “Customize This Product” button. 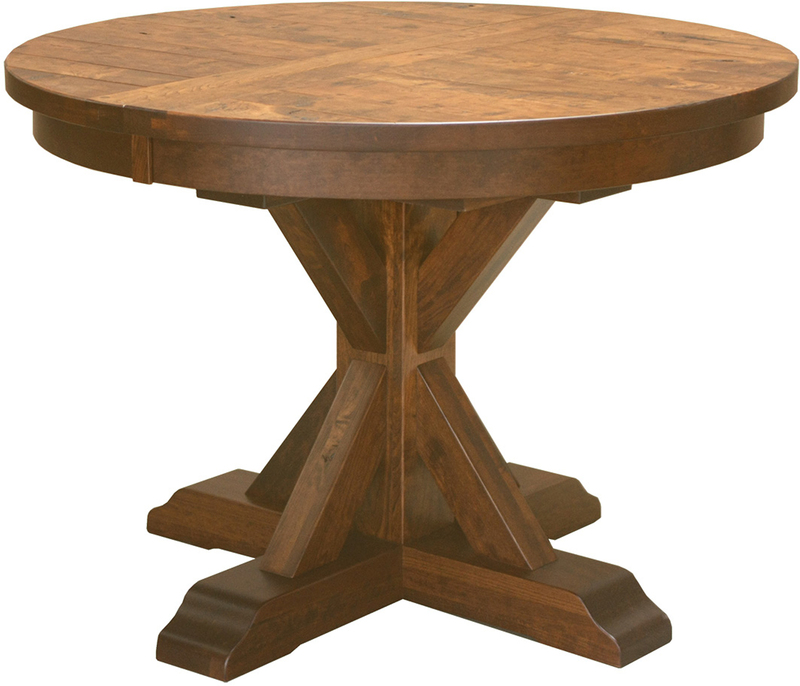 Then, choose from the wide selection of options available for the this Alberta Pedestal Table. Please feel free to come and visit us in Amish Country, in Shipshewana. 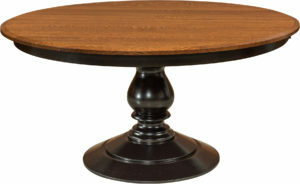 Then, you will be able to see a wide selection of our quality crafted solid wood tables in person. 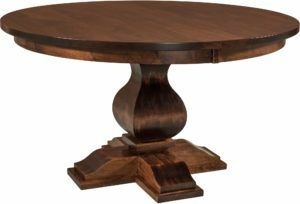 Additionally, you can call or e-mail us with any questions you may have, for help in customizing this dining table to meet your needs or for a complimentary price quote. We look forward to assisting you in any way we can.